Secrets never stay in the past. The night before high school graduation changes everything. Lies are told. Mistakes are made. Secrets tucked away. Lives are changed in the span of a few hours. A year later, Haley is still reeling, numb with the constant ache of guilt. She's in a place she never expected to be: lost without her friends and Seth. Until he enters her life again, dredging up everything she's trying to forget. Everything about that night. Seth returns to his hometown determined to share his truth, his side of the story. He desperately needs to make things right with Haley, even if it means losing her forever. Because the truth will ruin any chance of her ever loving him again. Except neither of them are prepared for the shock of what really happened the night before graduation. “I gotta hang up,” I whispered. Suddenly I got the intense desire to see him. To wrap him in my arms and smell his hair and the cologne he splashed on his neck. I wanted to feel his fingers play with the ends of my hair while he rubbed my back. I wanted to flop down on my bed with him and make-out for hours and then fall asleep so close that nothing could tear us apart. “Wish I could see you.” My voice was shaky, the emotion having its way with me. I paused, almost ready to take his offer. The giddiness of being with my friends had already faded within the minutes I’d been on the phone. I heard giggling outside the door and hushed whispers. I needed my friends tonight just as much as they needed me. They were just as much a part of my high school life as Seth. I pressed End and shoved the phone in my back pocket. I stood in front of the mirror. This one had a tiny crack in the top right corner and the tiniest of slivers that stopped right in the center. Any day, any second, it could shatter into pieces on the floor. Scattered shards. Impossible to put back together. But it had been that way for years and probably would be for another twenty. My greenish-brown eyes stared back at me, questioning. I’d promised to spend the rest of the night in full-out party mode. This night was for me. 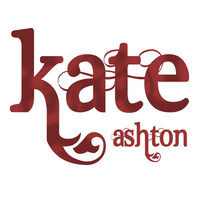 Kate Ashton is the author of the contemporary YA, Every Little Piece. She writes about relationships and love, heartache and healing. And everything in between. Giveaway: One (1) ebook copy of Every Little Piece (Mobi or ePub format only). Open internationally.